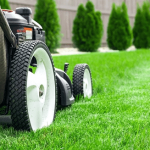 Keeping your weed eater clean and thoroughly prepared prior to any trimming and edging work enables you to operate the machine without any irregularities. 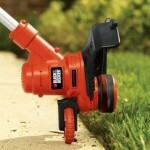 Although these trimming machines can break down or wear out eventually, keeping your weed eater well-maintained can deter damages, function lapses, and abrasion. Long-lasting performance can also be guaranteed. As the regular cleaning and proper preparation maximize the function, you can get all the trimming and edging work in no time. However, keeping up with a maintenance might not come easy as a breeze. It is true that precautionary measures are significant and should be carefully applied. But if you are still figuring out how to clean and prepare your trimming equipment, we have rounded up the easy ways to do it. 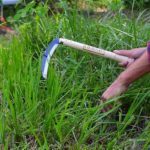 As we are often occupied by busy schedules, countless errands, and piles of chores at home, investing a time to clean and prepare the weed eaters or any gardening equipment might feel like a waste of time. The trimming job itself already consumes a lot of time and taking an additional task, such as prepping and cleaning, might just demand more. However, the results would actually imply quite the opposite. Initially, the preparation and cleaning process will take some time. It takes an hour, a few minutes, and sometimes, even longer than that. But getting this task carefully done will provide long-lasting and efficient results that will make the trimming job much easier, faster, and better. Truly, cleaning and preparing save time and effort. As it sustains the quality and powers up every part to function correctly, it is less likely to break down, malfunction, or get all jammed in the middle of your trimming work. Trimming, cutting, edging, and whatever needs to be done can go smoothly. You can wrap everything up in no time! It also delivers merits financially. Getting it in top shape will not drive you to visit repair shops more often. 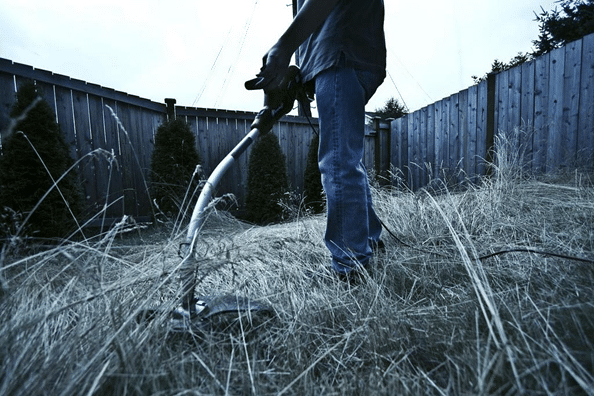 If you start maintaining your weed eater today, there is no doubt you will save a lot of your expenses in the long run. 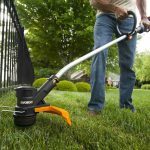 Whether you are using a gas-powered, battery-powered, or an electric weed eater to trim your lawn, there are specific guidelines you have to follow when cleaning and preparing them right before and after the trimming work. It is not right to just let these machines run across the fields and munch the vast turf all the way down and toss them back to the garage when you are done. If you’re using an electric weed eater, make sure to turn the switch off and unplug it from the power source before cleaning. 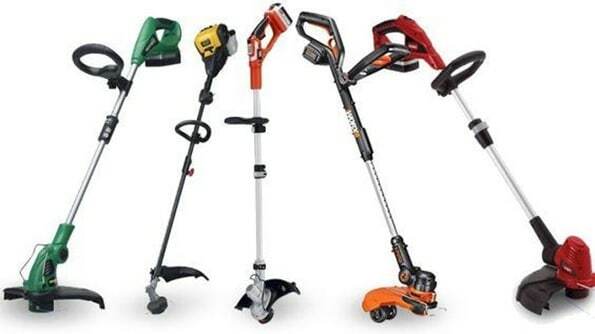 For battery-powered weed eaters, remove the battery first. Take a stiff brush and use it to brush the dirt off, the weeds, and all the other fragments that might clog or damage the strings. Go over the strings and move it back and forth to thoroughly clean the strings and eliminate everything that needs to be removed. Prepare a small bucket of warm water with soap. This will be your cleaning booster where you can dip your brush in. It is optional, though. But if there are pieces, debris, dirt, and other stubborn areas that need a thorough cleaning, this will do. Use it together with your brush and scrub it all over the deck sides and the handle. Do not leave the parts wet. Make sure to keep them dry. Otherwise, leaving them damp or wet will cause damages that will result in malfunctions and abrasion. When it comes to the air filter, it is recommended to detach it from trimmer every after 10 hours of use. Wash all the dirt off with warm water with soap and dry it afterward. When it is completely dry, top it off with subtle layers of motor oil and press it down or squeeze it firmly to remove the excess oil. Once this process is done, you can attach the air filter back to the trimmer. The spark arrester also requires thorough cleaning. This is the part of the weed eater that plays a critical role to keep the machine running. Without regular maintenance, the weed eater won’t function well and might get jammed while in use. To clean this up, access the muffler and take the spark arrestor out carefully. A carbon cleaner and a wire brush will do. Use these to remove all the dirt. After cleaning, place the part back to the machine. The spark plug should also be cleaned intricately with a brake cleaner. Without proper cleaning and preparation of these spark plugs, your weed eater might not power up. Once you have finished the cleaning, attach it carefully to the unit. However, if it looks worn out, especially the tip and it is black, don’t use it anymore. Consider replacing it with a new one. After cleaning, check if the parts are all placed correctly and tightly. 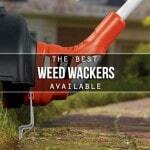 Check for debris, fragments of weeds or dirt that might get stuck along the process of trimming. Make sure they are removed. After an exhaustive inspection, plug it in or put the battery back in the unit. Power it up and test the weed eater. The maintenance for gas-powered weed eaters is almost the same as the procedure for electric and battery-powered weed eaters. The spark plugs and air filters should also be provided with an in-depth cleaning procedure and preparation. As previously mentioned, air filters need to be removed every after 10 hours and cleaned with a soapy water. Spark plugs, on the other hand, should also be checked for possible wear outs and spruced up with a brake cleaner. Make sure to check the manual for the correct ratio for the oil and gas. Similar to the maintenance of a car, a gas weed trimmer requires a regular oil change. Drain the old fuel out if you are not going to use the trimmer for more than a month. Leaving an old fuel in the tank for so long can cause severe damages to your weed eater. If your equipment does not seem to be properly working, you may also need to check the strings. Every unit requires specific string diameters. It is, then, significant to determine what diameter your trimmer uses and make sure to get the compatible string. Otherwise, it won’t work. There are instances when the weed eater will stop working. If ever it does, you can try to apply the procedure for maintenance as previously mentioned. But despite the rigorous cleaning and preparation, you may need to inspect the unit again for possible damages that require repairs or part replacements. Every unit comes with a warranty that you can fall back into when such issues arise. However, when you’re using an old equipment and has exceeded the warranty schedule, the repair shop is your last resort unless you know how to fix it up. If you are not quite knowledgeable, it is best to leave it to the professionals. But without the warranty, repairs and replacements would sometimes cost a lot. If your unit seems to be completely worn out, don’t settle for expensive repairs if you can just invest in a brand new weed eater. Intensive and regular maintenance is a must to keep your weed eaters working and in the best condition. It saves time, effort, and money. Although repairs and replacements should be done from time to time, regular cleaning and proper preparation prevents serious damages and can save you a lot in the long run.